For match race sailors, the coveted King Edward VII Gold Cup Trophy, awarded to the winner of the Argo Group Gold Cup, is a golden road to one of sailing’s holy grails, the America’s Cup. The legacy of this event has its unique rewards as we witness the return this year of Sir Ben Ainslie. He’ll join four other previous Gold Cup winners along with nine of the top ten skippers in the ISAF Open rankings and all of the Alpari World Match Racing Tour Cardholder skippers. This year will be the 63rd staging of races for the King Edward VII Gold Cup Trophy and the sixth with Argo Group’s support as title sponsor. Since the event was reformatted for match racing in 1985, the King Edward VII Gold Cup trophy has been held aloft by four-time America’s Cup winner Russell Coutts of New Zealand (seven times), four-time Olympic gold medalist Ainslie of the United Kingdom (twice), and the youngest America’s Cup winner- James Spithill of Australia. Mark Watson III, President and CEO of Argo Group is understandably excited about 2013. “This will be our sixth year as title sponsor of this classic match race sailed for the spectacular King Edward VII Gold Cup Trophy. Argo Group is proud to see this world class slate of skippers and crews coming to Bermuda again this year. Ainslie, who is the most successful sailor in Olympic history, won the Cup consecutively in 2009 and 2010. His classic approach to sailing Bermuda’s IODs, and his style and grace on and off the water have made him a true fan favorite here in Bermuda. The spectator fleet swells whenever he is on the racecourse. 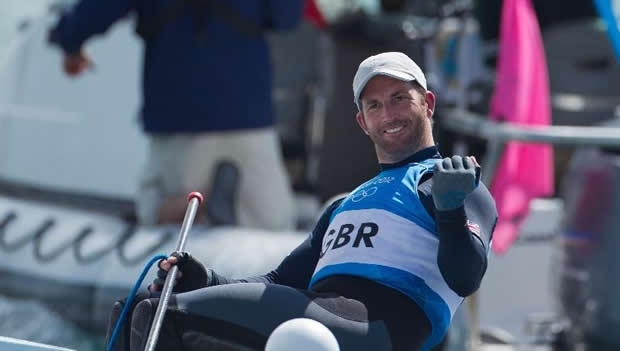 In a previous interview, Ainslie expressed his special affinity with the Gold Cup event, enjoying its traditions, the International One Design and especially the friends he has made here. Ainslie’s ties to Bermuda go back to junior sailing. He first competed in Bermuda in 1995 winning the ISAF Youth Worlds Single Handed title. During the 2008 Argo Group Gold Cup, Ainslie was the skipper and Simpson was the team advisor. The team spent a lot of time talking to the young Optimist sailors gathered in Bermuda from around the world. Ben's crew from 2008 returns to Bermuda once again and includes the current Skipper of the Artemis America's Cup Team and double Olympic Gold Medalist Iain Percy. Iain will be Tactician and Mainsheet Trimmer. Multiple Gold Cup Winner Christian Kamp will be jib trimmer and Ben's former Team Origin bowman Matt Cornwall, affectionately known as "Catflap" throughout the yachting world will be aboard. The return of Sir Ben Ainslie to Bermuda for the 2013 Argo Group Gold Cup adds a touch of high drama to this star studded event. He has been off the Tour since 2010 and will challenge the fleet. It is a full slate of eight Alpari World Match Racing Tour Card Holders and the four other past Tour champions who will be on hand heading up the two groups of teams in the qualifying round robin. Joining them on the event ladder will be eight other top ranked skippers and some up and coming teams including four automatic qualifiers. The Argo Group Gold Cup has also benefited – over the past ten years – from RenaissanceRe’s sponsorship of the Junior Gold Cup Optimist dinghy event. The Junior Gold Cup is credited – in part – for inspiring the 2012 Argo Group Gold Cup winner Taylor Canfield, Team USone. Canfield, 24, is a U.S. Virgin Islander who bested a field of 19-teams last year to become the first American citizen to raise the Cup aloft since his countryman Peter Holmberg won in 2001. The RenaissanceRe Junior Gold Cup was in its early years in 2004 when Canfield, age 13, was invited to attend and tagged along with the older and much revered Gold Cup winner Peter Holmberg of the USVI who was competing in the Gold Cup. “I was competing on the last day of the RenaissanceRe Junior Gold Cup and there was another competitor challenging me and we were going after a win. We started to really match race in our Optis – at age 13 – right here in Hamilton harbor. I got a taste of it then…and it did have a big influence on me as the Gold Cup was going on around us.” Canfield said. Talented and congenial, Canfield is clearly following a passion for match racing that was ignited right here in Bermuda. He has carried that passion as a Tour Card Holder in the 2013 season. Canfield will defend his Bermuda title hot off a win in the Chicago Match Cup in his home waters. He had a second in the Korean Match Cup, a fifth in Match Race Germany but sank to eleventh in the Stena Match Cup Sweden. Canfield stands second on the Tour coming into the Argo Group Gold Cup, tied with Adam Minoprio, Team Alpari FX (NZ). They are just nine points behind Tour Champion Ian Williams, GAC Pindar (GBR) and only one point ahead of Bjorn Hansen, eWork Sailing Team (SWE). With this unique mix of teams from America’s Cup skippers, to past Gold Cup champions to rising stars, the battle will be on in Bermuda. Will a rising star or a seasoned salt hoist the Cup? Get ready for some fantastic match racing in the 2013 Argo Group Gold Cup to tell the tale.